Access control is typically a service we think of for business, but smart home technology gives residential security access control of its own. It’s your keyless entry feature, which allows you to let everyone from the babysitter to the dog walker in from the convenience of your smart phone. With dog walking apps being the latest trend to hit the convenience economy, this is a great way to make a service like that even easier. When motion triggers your video cameras to spring into action, that can help your pets as much as everyone else in your home. Thanks to real-time smartphone alerts, some homeowners have been able to act quickly enough during a house fire to rescue their animals. And while no one wants their pets to escape, mounting your cameras in the right places may be able to help you determine if a pet has left the yard or house. Your dog is sweet, loyal and protective. If someone were to break in, he would most likely go into defense mode – and that’s outstanding. However, it’s not fair to put the whole responsibility of safeguarding the household on his furry back. 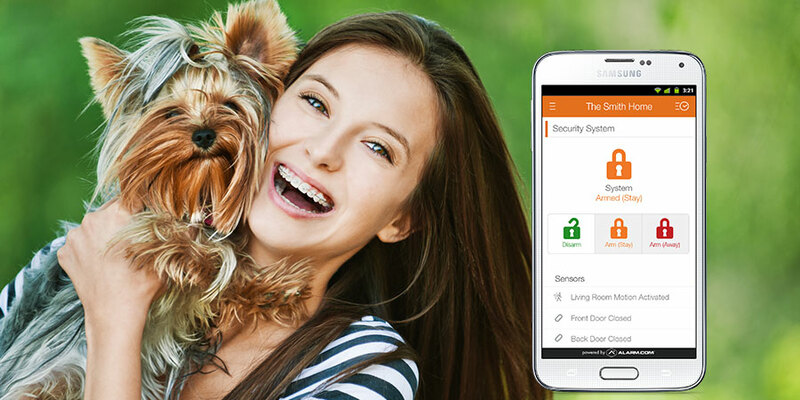 Instead, you can let your intelligent pet work alongside your intelligent home security system to give your home multiple layers of defense. For questions about how to pair up pets and your home security, Seattle area homeowners can learn more by calling Guardian Security. We look forward to speaking with you. Guardian Security Systems is the first choice for integrated security in the Pacific Northwest. From our local offices in Seattle, Tacoma, Bellingham, and Yakima we service municipalities, office buildings, warehouses, homes, schools, hotels, hospitals, and local / national brands that you know and trust. Contact us today to schedule an assessment.